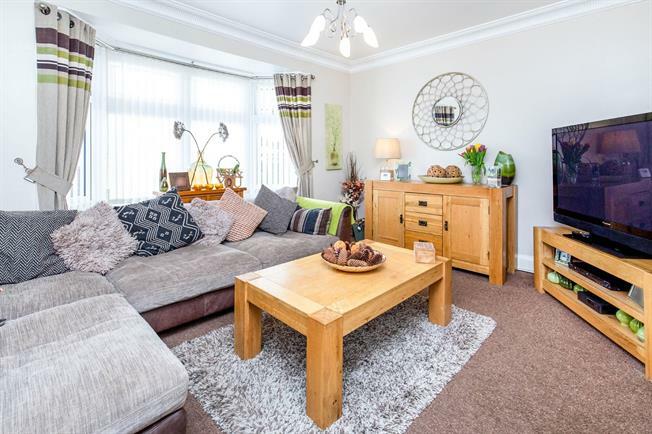 3 Bedroom Semi Detached Bungalow For Sale in Middlesbrough for Offers in the region of £160,000. A rare and exciting opportunity has arrived in the form of this stunning three bedroom bungalow in a very sought after residential location. This home is as impressive inside as it is outside and the current owners have made fantastic use of the size and space on offer with no expense spared in the quality of finish. Not only is the living accommodation well presented and maintained the loft has also been converted to allow for more space and convenience. The kitchen and bathroom are finished to a high and modern standard and include integrated appliances. Externally the garden is simply superb with a south facing outlook and a vast amount of space complimented by a paved area to the rear. The front of the home has a large paved driveway leading to a detached garage allowing for ample off street parking space.